Wild Wadi is one of the best water parks in the Middle East, inspired by the folklore story of Juha and his friend Sinbad the Sea, taking you to another world of fantasy, adventure and entertainment. .
Thursday at 8pm; it is time for the researchers to spend a special time at the end of the week, accompanied by their sons and daughters, to reflect the heat of the atmosphere in a wet atmosphere, and skating giant skaters inside the water park at Wild Wadi in Dubai. At the entrance to the park, a large rock hangs in the air, swaying the water to produce 60,000 liters of water, a high waterfall that catches sight and breath. Wild Valley, which provides privacy for women every Thursday from 8 am to midnight, creates the right environment for mothers to share their beautiful moments with their young friends in a special atmosphere with their friends and relatives away from the eyes of men and the curious. The garden takes the story out of the traditional characters known in Juha’s stories, which accompany visitors everywhere in the park, which has more than 30 water-filled and thrilling waterfalls, 13 of which are connected to each other and the garden is completely damaged. The park, which is full of entertainment, includes slides that go up. The power of the water drives the people from one game to the next, while gardeners sprinkle all their roads and paths with water throughout the day to ensure that the guests walk comfortably around the park. Jumeirah Sceirah is one of the most exciting and adventurous games in the Middle East, where participants begin to climb up to the 32-meter high peak where they can see a full view of the park before taking a special capsule to begin moments of stress and anxiety. They slide at an amazing speed of about 80 kilometers per hour. The Master Plaster game defies gravity by working on a series of water jets with high power and momentum, taking the guests into a quadrangle latch and releasing it into the air to a distance of 15 meters from the earth’s surface. The spiral takes them back and forth several times Until their tour ends with a strong push in a 170 meter water pool. The experience of windsurfing and strong currents awaits them with the Flauider game, which offers them the most exciting surfing experience with a realistic effect that simulates strong waves. The swimmers are out on track with Parkers Bay, the largest swimming pool in the Middle East, where the “Gulf of Waves” sends waves that are parallel and intersecting at 1.5 meters in five different shapes that erupt with the sudden force of pumping 100,000 liters of water. And those who wanted to relax in the water atmosphere by taking a trip through the lazy river through the 360-meter Juha flight game, with the thin waves moving across the river. 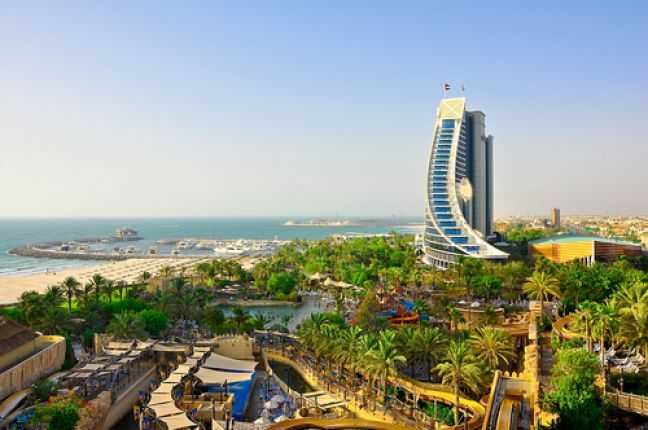 Burj Surj consists of a vast, darkly winding waterway that is completely closed, taking visitors on an exciting journey after driving them through a dark darkness to get a lot of sudden twists and turns before heading out to the lazy water pool. The park boasts a number of exciting games such as the Tantrum Alley, the Saddle Tower, the Juha and the Children’s Game, and more than 100 water games with 5 slopes, featuring a large pool full of water and water pistols. All women working in the garden on women’s night are limited to women’s items including restaurants, cafes and retail outlets. The park offers safety and protection services, women’s rescue teams to provide assistance when necessary, and a number of restaurants, giving women an opportunity to enjoy Various outdoor water sports.